Thursday's death marks the city's fifth homicide of 2017. 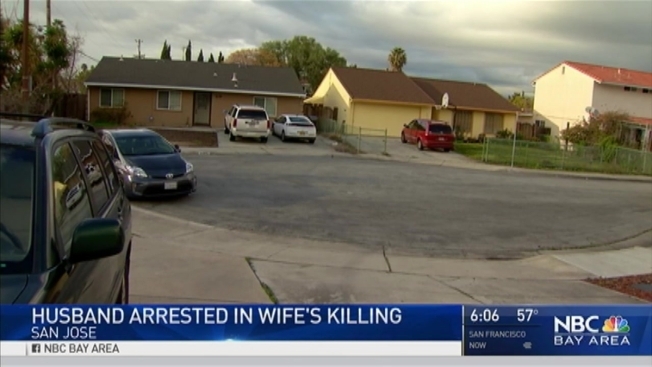 San Jose police have arrested a man suspected of killing his wife on Thursday, marking the city's fifth homicide of the year. The suspect, identified as 27-year-old Sajawal Chadhar, is accused of killing 40-year-old Leann Watson Chadhar, according to police. Police say someone called 911 to report a dead body on the 2100 block of Coyne Court at 8:47 a.m. Thursday. Officers found the woman unresponsive, and she was pronounced dead at the scene. Investigators identified Sajawal Chadhar as a suspect and took him into custody. Neighbors said that the couple had lived in the house for less than a year and in that time, no one had heard any arguments. Leann Watson Chadhar was a doctor, they said, and a young girl also lived in the home. Police have not confirmed this information. "I was very shocked to know that someone had been killed. It's very confusing. This is the first time I see something like this happen in my neighborhood," said neighbor Vincent Pham. Further details about the motive and cause of death remain unknown. People with information about the case are asked to call detectives Sergeant Paul Hamblin or Jason Tanner at 408-277-5283.